Here, Courtney Sunna, Allergy Standards (ASL) Vice President of Sales, interviews leaders, brand managers, and marketers who are part of a global movement towards healthier products that are rooted in rigorous science such as 3M, Bona and Welspun. 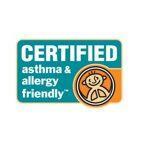 “Courtney: BISSELL has the first commercial vacuum cleaner that’s Certified asthma & allergy friendly®. It’s very rare to be the ‘first’ in anything! Tell me about your journey toward seeking this claim and why it was valuable for the company and for consumers. Patrick: It should come as no surprise that in our industry cleaning performance is key. 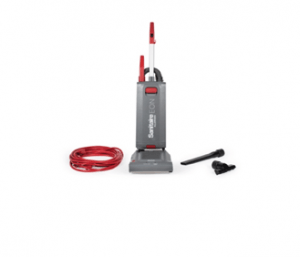 Sanitaire has always been among the industry leaders in commercial, portable floor care equipment. With the launch of our newest upright vacuum, the EON™ ALLERGEN, we wanted to better quantify to our end users the level of cleaning performance to expect from our newest vacuum. 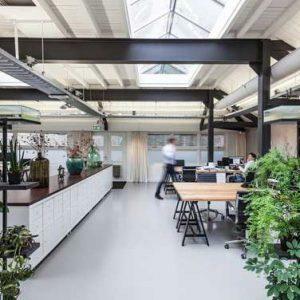 We know how important reducing exposure to allergens and asthma is when cleaning a facility, and now we are the first in the industry to secure third-party certification to shine a spotlight on our cleaning capabilities. We know how important reducing exposure to allergens and asthma is when cleaning a facility, and now we are the first in the industry to secure third-party certification to shine a spotlight on our cleaning capabilities. Courtney: In commercial sectors such as schools, hospitals, hotels, and office buildings – how do you communicate the product features and benefits related to health claims such as being a better product for allergen avoidance? Patrick: Our marketing campaign is focused on the EON ALLERGEN being “This is the one for when clean matters.” Taking that cleanliness messaging deeper, we focused on the education and healthcare industries specifically, to target our messaging to those facilities where you have the highest standards of clean. Courtney: What other outside testing and certifications do you have for this product, and why is it important? Patrick: The EON ALLERGEN is also certified gold (the highest standard) by the Carpet and Rug Institute (CRI), the industry-leader for testing soil removal, emissions and carpet appearance. The machine is also LEED qualified with a sound level of 68 dBA which makes it ideal for daytime cleaning. Courtney: Has BISSELL conducted any independent consumer testing on trust and concerns related to allergies and asthma? How did this information impact your decision to seek the asthma & allergy friendly® Certification Mark? Patrick: We did end user research and found that our vacuums (and our competitors) are very highly rated when it comes to cleaning performance. However, there wasn’t much differentiation within the industry so we knew we needed to secure the best third-party certifications available that can help us show the end user that it isn’t just us saying we provide and exceptional clean, but rather the industry-standard testing and certifications help back up our claims. Courtney: What types of testing and R&D did your scientific team need to undertake in order to receive these credentials, such as asthma & allergy friendly®? Patrick: It took us over a year from the first time we failed the testing for the asthma & allergy friendly® certification. We went back and multiple tweaks and internal testing, including new and modified components, to be able to achieve this rigorous test standard. It isn’t easy to achieve, and our team worked hard to bring this industry first to market! Patrick: It has not launched (coming in July 2018), however, the initial presentation to our existing customers, especially those that sell to healthcare and education facilities, has been very positive and the buzz is growing on this unique offering. Right now, the best place to go is on our website at https://www.sanitairecommercial.com/eon and they can request a quote. They can also contact their usual distributor or janitorial supply dealer as we have relationships with dozens of the major industry leaders. Since 1972, Sanitaire has built the longest-lasting and most serviceable commercial upright vacuums available, becoming a leader and innovator in the commercial vacuum industry. Sanitaire offers uprights, canisters, backpacks, floor machines, carpet cleaners, air movers and accessories for commercial cleaning. Many Sanitaire product are designed to achieve the CRI Seal of Approval and are LEED compliant. Sanitaire is part of the BISSELL family of small appliance products.